“Rotating Brave” for Nintendo Switch™ is an action game in which you control a pixel-art character and take on enemies while spinning. You start off holding the Nintendo Switch console vertically. Then, as you progress from one stage to the next, you play while spinning the Nintendo Switch console, sometimes holding the Nintendo Switch horizontally and sometimes holding it vertically. Conquer a pixel-art dungeon while both you and the screen rotate! ・Don’t miss the shops where you can buy items and the recollection rooms where you can follow your memories in the stages. ・When you’re in a tough spot, activate your skills! You can unleash special comeback moves once your skill points have accumulated. ・Don’t give up at Game Over. Acquire bonus points and get ready for your next battle. In order to claim victory and end this war, our country decided to use an ancient shrine which holds vast energy. We began to gather shrine maidens who could offer prayers to the shrine to harness its energy. My childhood friend was also selected as a shrine maiden and went far away to the ancient remnants. Soon after, the vast energy was unleashed from the shrine and it ran rampant. With no means of controlling the energy, the surroundings were brought to ruin as it destroyed both enemy and ally alike. I was on the battleground as a warrior at the time, but I somehow escaped danger and made it out unscathed. But my childhood friend is still at that shrine. Rotating Brave is hitting Switch on Feb. 21st, 2019, and is priced at $5. Rotating Brave hits the Switch on Feb. 21st, 2019, and is priced at ¥500/$4.99. 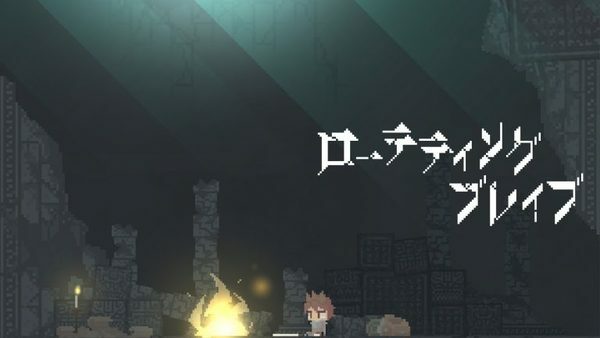 Cosen has announced that their 2D action game Rotating Brave will hit the Switch in Japan on Feb. 21st, 2019, and is priced at ¥500. It's likely that this game will hit North America/Europe on the same day, but we don't have 100% confirmation on that just yet. Cosen is porting over the TissueTube-developed platform action game Rotating Brave to Switch in Japan this February. The Japanese release will include Japanese, English, and Traditional Chinese language support. Rotating Brave will be priced at 500 yen.